“Deforestation is the permanent destruction of forests in order to make the land available for other uses. An estimated 18 million acres of forest, which is roughly the size of the country of Panama, are lost each year, according to the United Nations’ Food and Agriculture Organization” (FAO, 2015). So why do we do it? Why do we clear large areas of forest, so large that they will take ages to grow back? Why do we use resources faster than nature can replenish them? Put simply, deforestation results from a lack of education and a lack of teamwork. It is yet another example of the Tragedy of the Commons. Without an educated populace, and without laws that ban practices like clear-cutting, deforestation can trap a nation in a cycle of poverty. 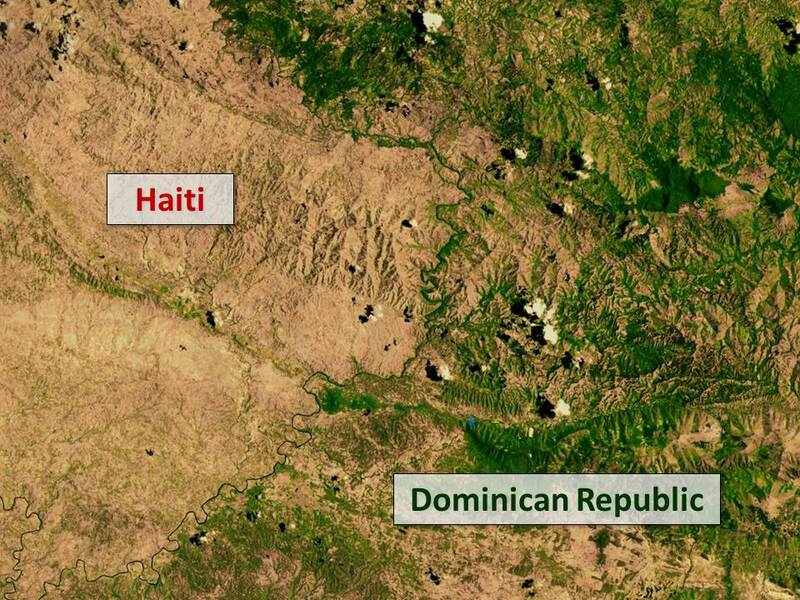 One only has to look at the border between Haiti and the Domincan Republic to see an example. The long-term effects are scary as well. Not only does deforestation lead to poor soil quality, less oxygen, and fewer homes for animals, it also exacerbates Global Warming. Trees are natural carbon-dioxide-removers, without them greenhouse gasses fill the atmosphere and the planet heats up. So what is the solution? It can be as simple as fining logging companies for trees that they don’t replant, or reducing the use of paper products in our daily lives. Or… we could all just hold our breath.